Lawrie Williamson was born in 1932 and educated in Derbyshire. At the age of 16 he won a major exhibition prize to study at Nottingham College of Art. This led Lawrie to further his studies at Nottingham University and ultimately to L'Ecole des Beaux Arts, in Paris. Throughout his career, Lawrie’s talents were widely recognised. 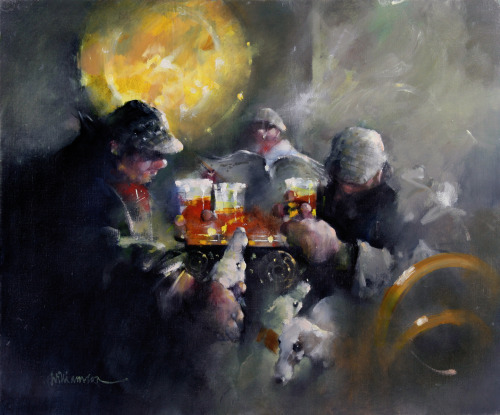 He was a winner of the Stanley Grimm Prize at the Annual Exhibition of the Royal Institute of Oil Painters and also listed the Canson Prize at the Royal Birmingham Society of Artists to his achievements. 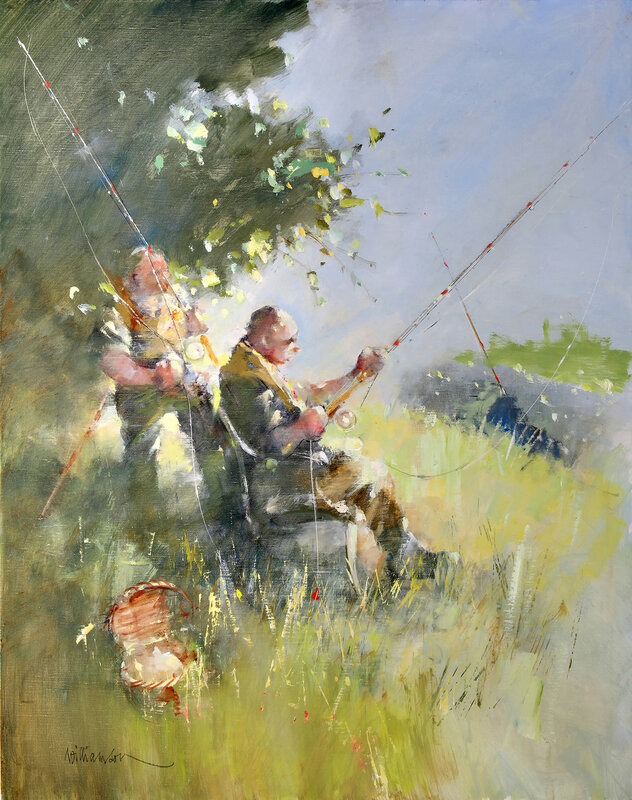 To commemorate the life and work of Lawrie Williamson, and his twin passions of fishing and painting, we are delighted to present a superb new collection of limited edition prints, all viewable below. Printed on to fine art paper and canvas using light fast inks, the prints are in strictly controlled editions and come double mounted in conservation quality mountboard for the watercolours, and on stretched canvas in the case of the oils. Each is accompanied by a Certificate of Authenticity bearing the stamp of the Lawrie Williamson Collection. 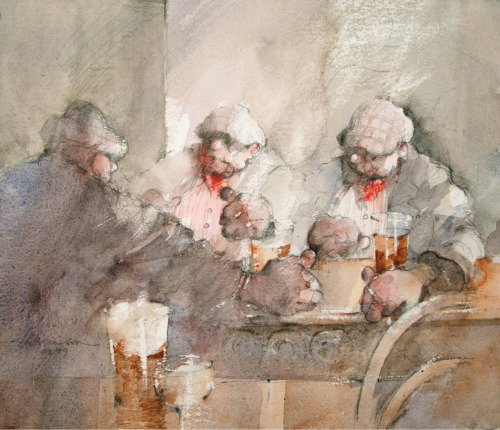 Additionally, original works by Lawrie are available, and prices are available by request. 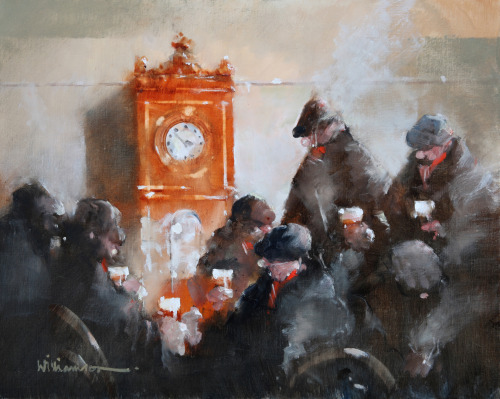 Please click this link to Lawrie’s official website to view a wider selection of original paintings. 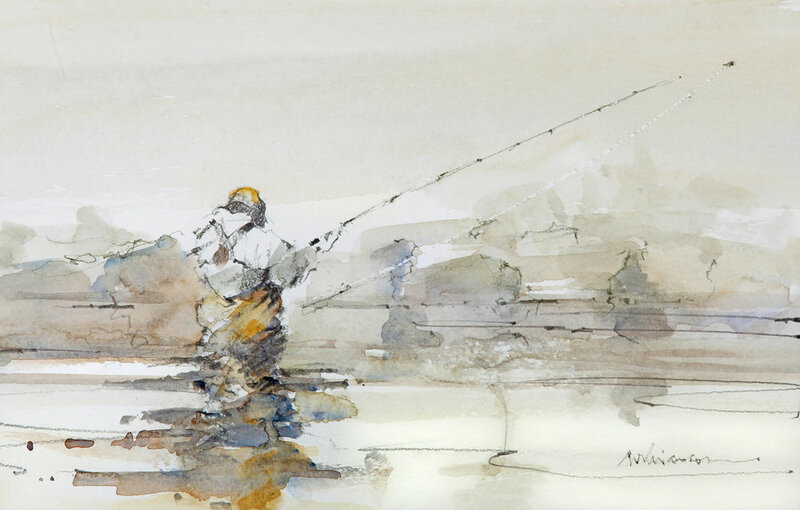 To commemorate the life and work of Lawrie Williamson, and his twin passions of fishing and painting, we are delighted to present this superb collection of limited edition prints. Printed on fine art paper and canvas using light fast inks, the prints are in strictly controlled editions and are double mounted in conservation quality mountboard for the watercolours, and on stretched canvas in the case of the oils . Each is accompanied by a Certificate of Authenticity bearing the stamp of the Lawrie Williamson Collection. “Lawrie’s fishing career took him from an eight year old with a cane rod on the canal sides of Derbyshire, to the streams of his beloved Scotland, and the river Platte, Colorado. He learned from the colliers of Heanor whom he respected, and later figured along with their dogs, so larger than life in his paintings. 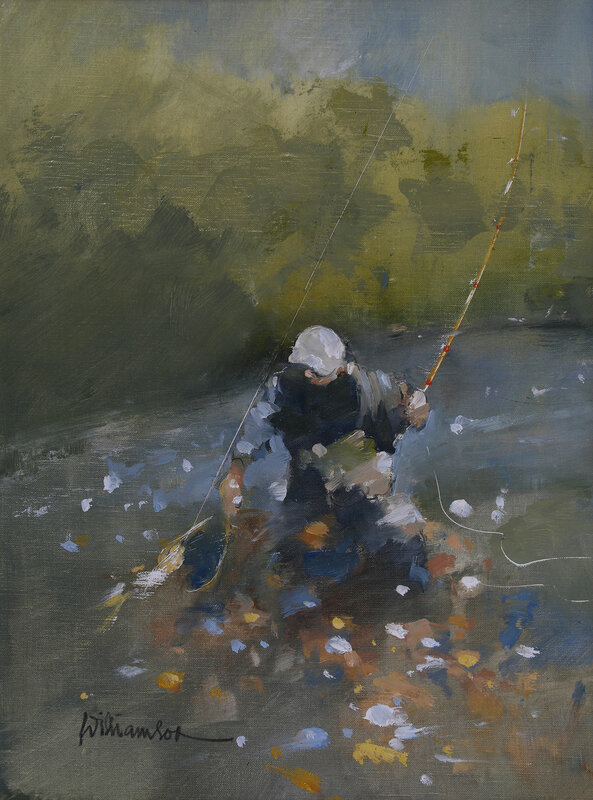 Like painting, dry fly-fishing became his love and obsession. Lawrie taught fly casting at ‘Chatsworth House Game Fair’, with rain pouring down his jacket collar - he loved it! We fished together every chance we had and always until the light faded. Our club ‘The Darley Dale Anglers’ named a notoriously difficult stretch of the Derwent ‘Lawrie’s Corner’ as he could always be found there up to his waist trying to tease out a shy brown trout. Fittingly his ashes are scattered there. line and the catch. Lawrie knew it well.